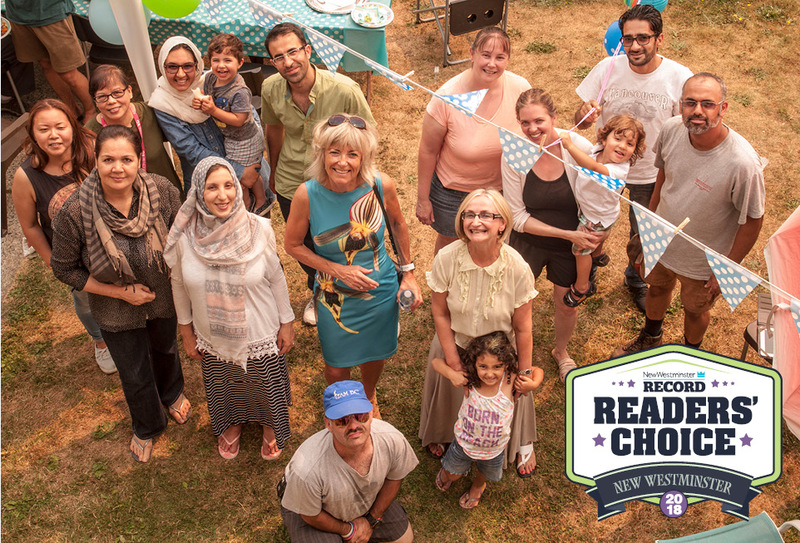 Fraserside Community Services Society is proud to announce that it has been named New Westminster’s 2018 Best Community Service Organization by readers of The Record. Fraserside -- a multi-service agency that supports people needing housing, seeking work, and/or living with developmental disabilities, mental health and substance use issues, or low income -- was one of many community service organizations named on the ballots, reflecting a strong awareness of the agency amongst New Westminster residents and businesses. Fraserside believes people belong when they have a home, make a contribution, and are in relationship with one another. We currently employ 180 people and operate 14 facilities (11 of which provide housing) using a $9.6-million budget funded mainly by contracts with BC Housing, Fraser Health Authority and Community Living BC. Our vision began in 1972 when a small group of people living in New Westminster saw and responded to a need in our community. This group found ways to help people help themselves, and our current team continues this approach to support over 1,800 people every year in six communities across Metro Vancouver. Fraserside celebrates its Readers’ Choice Award alongside the publication of its 2017-2018 annual report. Just 28 pages in length, the report is a potent mix of our passion, people and performance offering a 30,000-foot view of our agency and the landscape in which we operate. Visit https://www.fraserside.bc.ca/about-us/publications/ to read about us. For media inquiries, contact Fraserside’s CEO at ledmonds@fraserside.bc.ca or 604-522-3722.